Subject(s): Tiffanie teaches Economics and Personal Finance, Computer Information Systems and Business Law. Years Teaching: Tiffanie has been teaching for 16 years but was a computer specialist before assisting teachers with technology. State Financial Education Requirement: Virginia requires the equivalent of one year of Economics and Personal Finance for both a Standard and Advanced Studies Diploma. Why Teaching: Tiffanie has spent 23 years in education, but before becoming a teacher, she worked as a computer specialist in schools helping teachers. The environment inspired her to take the next step and become a teacher herself — where she has spent the last 16 years helping students build their business and finance acumen. Why Personal Finance: In college, Tiffanie’s major was accounting and had planned to be an accountant. But in her senior year, she started substitute teaching and saw a need to prepare the next generation to be better prepared with economics – and later personal finance. Resources: When Tiffanie started teaching she said finding resources was overwhelming, but she stumbled onto FoolProof and loved it. She then started going to the Jump$tart National Educator Conference (NEC) and found additional resources such as Hands on Banking, MoneySKILL, EverFi and those from the Federal Reserve. And, with the 10th annual NEC conference now in the books, it’s worth sharing that not only has Tiffanie attended the conference, but she also is one of a handful of teachers that have participated in all 10. 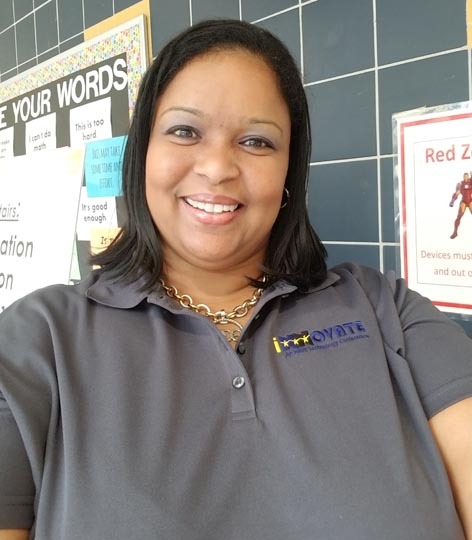 Learn more about Tiffanie below, and check out the other four teachers who have joined the Jump$tart Coalition over the past decade on a quest to impact personal financial education in the classroom. And, it couldn’t have gotten more real recently. In September, not long after school started, Tiffanie’s school was closed for a week because of Hurricane Florence. With predictions of flooding and wind damage, parts of her school district were ordered to evacuate – but not everyone had the ability to follow. A hurricane can be expensive. Studies have shown that evacuating can cost approximately $1,000 – for gas, lodging and other expenses, and that’s without factoring in lost wages. In addition, when 40 percent of adults can’t cover a $400 emergency, according to the Federal Reserve, Hurricane Florence gave Tiffanie a lot of “real-world scenarios” to discuss with her students. Before the hurricane hit, Tiffanie said they were coming out of basic economic lessons – supply and demand, costs of goods and services, and how laws (local, state and federal) can impact elements such as taxes and take-home pay. For Tiffanie’s students, the answer can entail a full- or part-time job, which often boils down to a traditional paycheck, which, in some cases, can be impacted by lagging sales. She also has students with military families that, while they do earn a traditional paycheck, also can be impacted by a government shutdown. Scenarios like these help Tiffanie illustrate the impact economics has on income and thus on budgets and financial planning. That’s why it’s important to Tiffanie to lay a foundation of economics before building her personal finance lessons. These lessons sometimes start with savings. However, while in other personal finance classes across the nation, the discussion about savings often involves college, a new smartphone or a first car, Tiffanie’s students faced a different reality this year: savings needed to help keep them safe. And, when addressing savings, her students also raised the question: Why not just use credit cards for an emergency? In response, Tiffanie pointed out the costs of using credit (while reemphasizing the importance of savings). She also reminded her students that using a credit card is like taking out a loan that must be repaid – with interest and sometimes an annual fee. That fee is something Tiffanie stresses to her students is avoidable and illustrates this by having her students research the cost of various credit cards. Tiffanie also shared with her students that insurance can play a big role in natural disasters. They discussed what claims are and what happens when people don’t have insurance, and how insurance premiums can increase. Additionally, she also discussed how the Federal Emergency Management Agency comes in during events like hurricanes to help. It is part of Tiffanie’s emphasis on creating a solid understanding of economics and federal programs that help her students see the broader picture of personal finance. This year, they also got an educational bonus – a hurricane that helped solidify the importance of preparing for the unknown. While not related to the hurricane, something near and dear to Tiffanie’s heart was her success in establishing a student run credit union (SRCU). In 2009, Tiffanie had a vision to establish a SRCU and had reached out to a few credit unions with no luck. But in 2014, a former teacher and current credit union financial educator contacted Tiffanie and helped her bring her vision to life. Together they established the BayPort SRCU at Tiffanie’s high school, which has given Tiffanie and the credit union the opportunity to financially educate more students. Tiffanie also shared that over the past four years, the BayPort SRCU has been named the Most Outstanding SRCU Branch. For Tiffanie, teaching economics and personal finance concepts is never ending – it’s a part of every day. And, whether having a budget to buy weekly groceries or a savings plan to evacuate a hurricane, personal finance touches on every aspect of life and she takes pride in helping the next generation become financially literate.